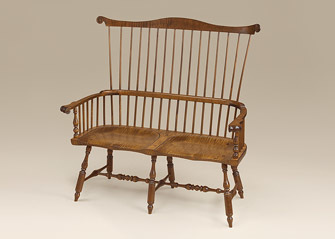 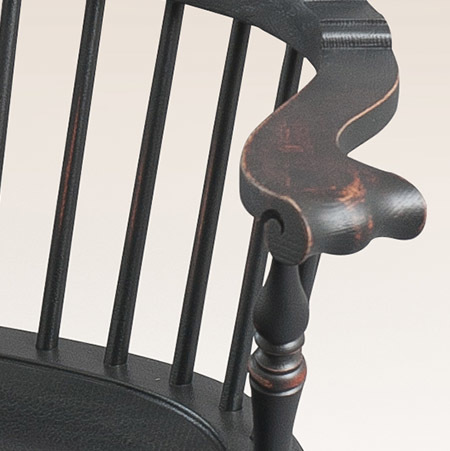 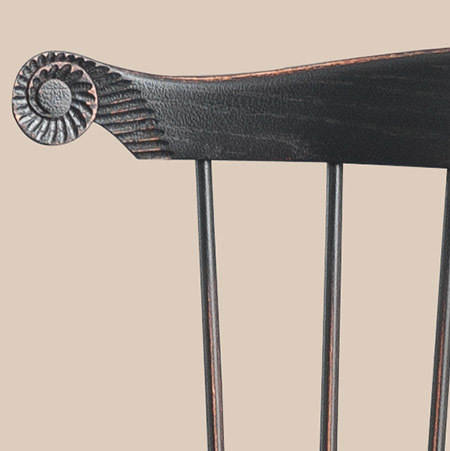 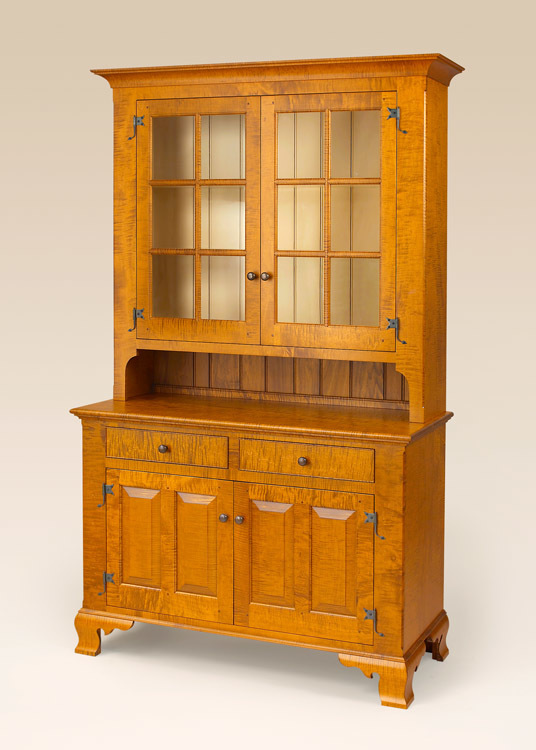 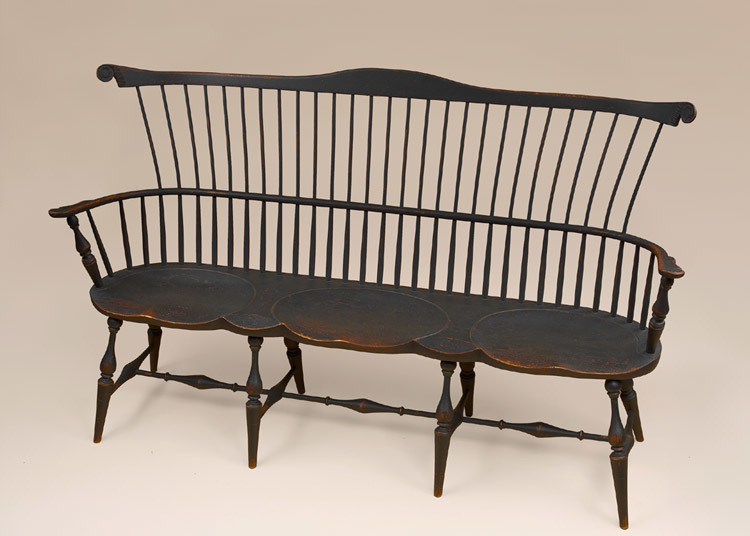 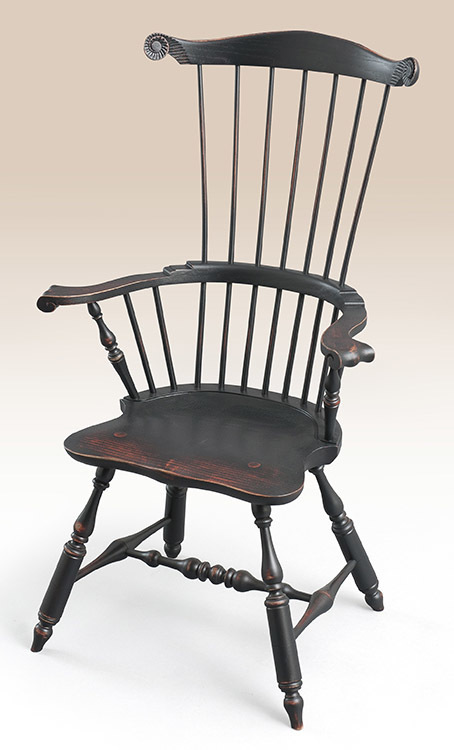 The Historical Massachusetts Windsor Armchair features a handsome comb with elegantly carved ears. 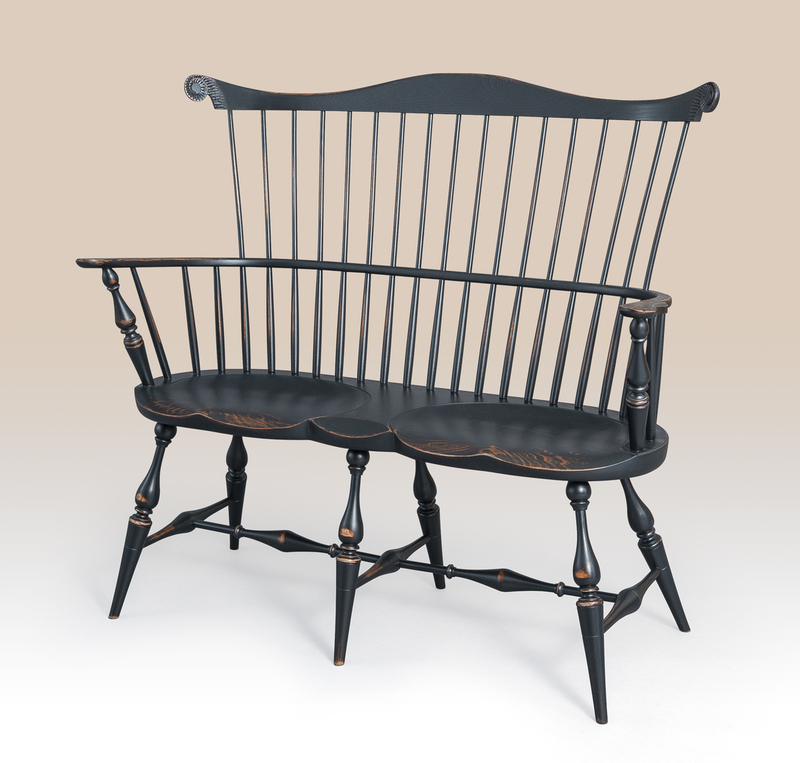 Carved knuckles and turned legs round out this handsome and versatile piece which is perfect as an occasional chair for your living room or den. 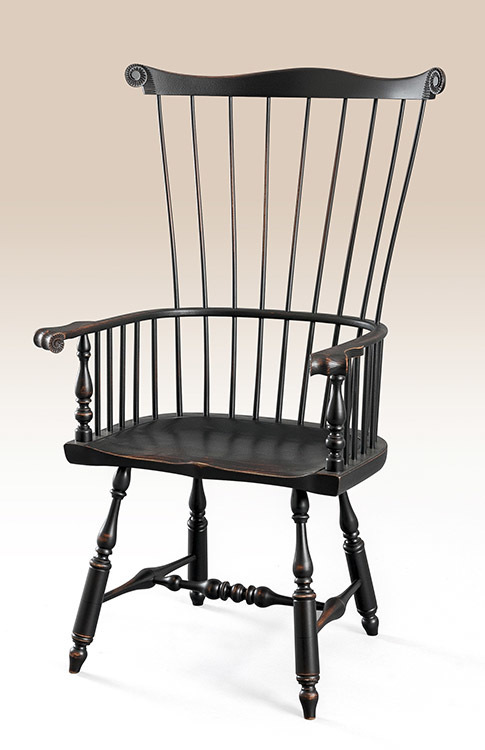 Whisk away hours reading your favorite book or chatting with evening company in the Historical Massachusetts Windsor Armchair. 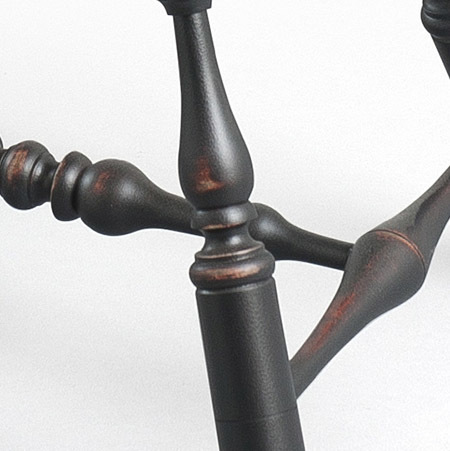 Arm Height 27 3/8 in.